EnviraScape, LLC offers a full range of outdoor services. Whether you need a residential yard maintained or a commercial landscape developed, we work to satisfy your individual needs. Customer satisfaction is the key to our success! We pride ourselves on buying local; all the materials we use are bought from locally owned companies. Since 2000, we’ve served North Carolina and South Carolina with a variety of landscaping and lawn care services, including lawn maintenance. Read on for more information on how EnviraScape is beautifying the Carolinas, one lawn at a time! 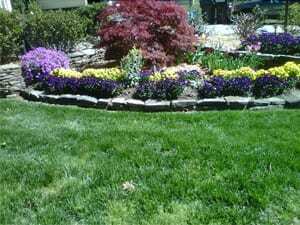 Call EnviraScape for more details on our lawn maintenance and landscaping services. We are a fully insured, professional lawn care and landscape company and are a licensed commercial pesticide applicator. We serve both Carolinas, including Charlotte, NC; Rock Hill, SC; Lancaster, SC; Fort Mill, SC; Indian Land, SC; Kershaw, SC; Fort Lawn, SC; York, SC; Lake Wylie, SC; and Chester, SC.